Everyone deals with application essays, whether you want it or not. 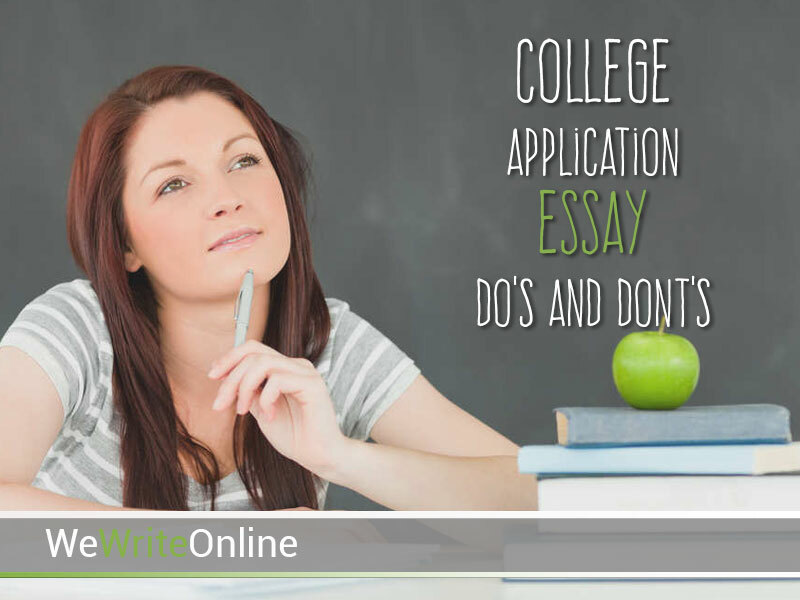 A successful application essay is able to help you become more competitive in terms of job search, colleges or promotions. These essays belong to the type of writing that helps people understand what kind of person they are and what exact goals they have. Application essays are required by most colleges, their size and content depend on the specific institution. You might be asked to write a short one or a three-page piece, so get ready and check the following tips. If you are a great student with top grades, but with a poor application essay, you can lose your good rating, that’s true. That’s why you should not rely only on your grades, but also on your writing skills. NACAC made a few recommendations based on the information from the deans of various colleges, and we have compiled that information for you. You essay should be informing, a little bit amusing and revealing. Your self-presentation should be modest and humble. Keep to the questions you have and the word limit. Show matureness, positive thinking, and hard work. Show that you have studied the main information about the university you’re applying to. Reveal more information about yourself that could be useful, your hobbies, lifestyle, etc. Take time for editing and proofreading your essay. Explain the facts, which you provide. Don’t boast and don’t be arrogant. Try to give your actual thoughts rather what is expected. Keep strictly to the questions. Don’t demonstrate negativism, shallowness and disrespect. Don’t say that you don’t have any idea about the college and its courses. Don’t send an essay with mistakes. Don’t use the same words in your writing. Forget about excuses for bad grades. Pay more attention for your application essays, they’re able to help you get in.